PRO Super Speed Axles with 2 anti-friction grooves, nickel plated, polished, bent 2.5 degrees and graphite-coated to minimize friction. "Being an engineer I knew the bent axles would perform best. The graphite coating is ingenious to reduce friction. Great quality product that the competition does not offer"
We cut a groove in the axle head so you can easily turn the axle with a screwdriver. The PRO Super Speed Axles are NOT the BSA nails that come in the Cub Scout pinewood derby kit. Check your rules and ask your race manager if non-BSA axles are allowed. The graphite-coating will stay on your axles....right through the District races! You still need to apply powdered graphite to the wheel bore and axles! Work powdered graphite into the wheel bore and axle for a few minutes. It is very difficult to see a 2.5 degree bend with the naked eye. Roll the axle on a flat surface to see the bend. The axle will not roll as smoothly as a non-bent axle. 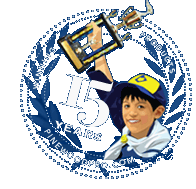 Great products has helped us bring home 1st place three years straight! Great attention to detail on all products. I can honestly say I never leave reviews. Reason being I'm not easily impressed but these are Top notch parts !